Yesterday we hosted one of the six UK Regionals this year for the Warhammer 40K Conquest LCG. We had a fantastic attendance, with 36 people showing up from all over the country, as well as quite a diverse selection of warlords. 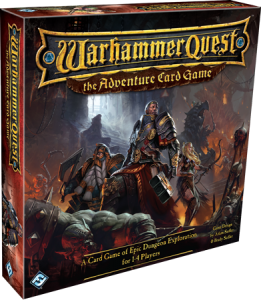 Another Dungeons & Dragons themed board game, but this one looks more like Lords of Waterdeep than Legend of Drizzt, which is great for me because Lords of Waterdeep is one of my favourite board games of all time. I’ve decided to start a new type of article on our website. 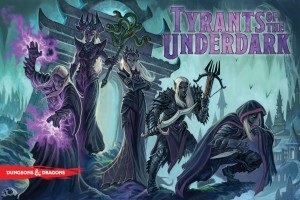 It’s basically going to feature upcoming board games that have caught my interest. 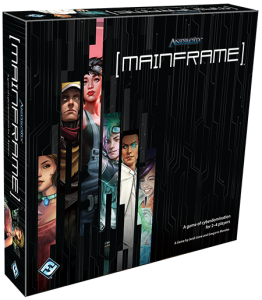 So to start things off, the upcoming game by Fantasy Flight Games, Android Mainframe, has attracted my attention. Yesterday we had out Store Championship for A Game of Thrones second edition. Fourteen players attended, so we did four rounds of Swiss followed by a top four cut. Read on for the results! Since there isn’t an official Autumn League, we decided to do a league with a bit of a twist. One of our players, James, suggested that we do a faction-based one. After a bit of discussion we came up with the idea of players being assigned a faction to represent, where they’d have to use both warlords that were currently available. The results of both warlords would be added together to form the faction’s overall result. The last few spoilers for Decree of Ruin are out so it’s time for me to do a quick rundown of the non-signature cards (for warlord reviews, go here for Broderick Worr or Commander Starblaze), give them a rating between 1-5 and then have that held against me in the coming months. I’m going to make these Quick Look articles a regular thing, so watch this space for more! I’ve been eagerly awaiting this game’s arrival, so needless to say I was slightly excited when I found out that it was being released last week. Fantasy Flight Games put the rulebooks up on their site as pdf files the day before the game showed up, so I’d had a chance to read through them even before getting my hands on the game. Over the latter half of last week I was able to get quite a few games done, including a complete playthrough of the campaign, so I thought that I’d take the opportunity to do a review. The second edition of the A Game of Thrones card game has been officially released for about four weeks now in the UK, so I thought it was time to do a review of my experiences with it so far. It’s been a while since I’ve written one of these (Ba’ar Zul the Hate-Bound, back in July), but I thought it was time to write another. Rather than covering one of the warlords that have been previewed since Ba’ar Zul (Gorzod, Subject Omega and Chaplain Mavros), I decided to go with the latest one; Commander Starblaze. This is the second warlord previewed that breaks the alliance wheel (Gorzod being the first spoiled) and it’s this kind of mechanic that gets the deckbuilder side of me thinking about the possibilities. Anyway, on with the preview! Last week my group and I finished the Dungeons & Dragons campaign that I have been the DM (Dungeon Master) for, so I thought that I would take the opportunity to reflect on how it went. In this article I will go through the good points, the bad points, what I could have done better, and what my players could have done differently. My aim is to provide some insight for those of you thinking about running your own campaign (spoiler; you should! ).